Premium Bandai reveals product images for the S.H. Figuarts Retsu Ichijoji from Space Sheriff Gavan. This week, Premium Bandai unveiled new images for the S.H. Figuarts of Retsu Ichijoji from Space Sherrif Gavan. 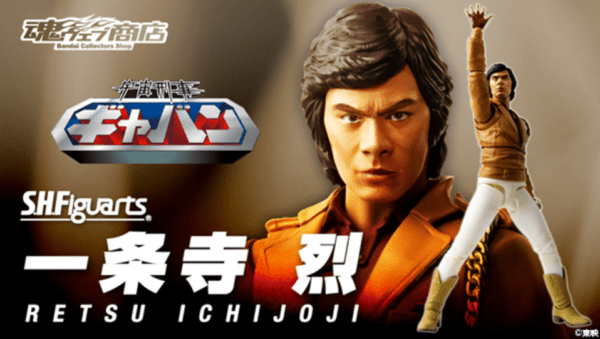 The poseable figure features the likeness of a young Kenji Ohba with replacement wrists and a transformation background for Gavan’s Jouchaku process. Premium Bandai is accepting pre-orders starting on June 16, 2017, at the price of ¥6,264. It is set to be released in November 2017.